And so, with last night’s interview featuring CCP Dolan, the Crossing Zebras CSM8 Election Interviews project is done and dusted. It’s a strange feeling now it’s all finished. Nothing like this had been attempted before in CSM history as far as I’m aware – to try and interview every single election candidate in a short, thirty minute format, asking pointed, difficult questions. Had I known just how much work would be involved, I’m not sure I’d have went for it but, once started, I had to follow through to the end. The thirty minute target existed for two reasons – firstly, I simply didn’t know how many candidates there would be so setting a realistic limit was needed to allow me to get through everyone. Secondly, it forces candidates to be concise and to the point so that listeners don’t have to listen to a bunch of preamble before getting to the good stuff. I only have so much time but I’m well aware that listeners only have so much time too. In my head, anything less than thirty minutes simply isn’t sufficient to get through the ‘who the candidate is / what their platform is / ask some questions’ format that would become the template. I had set myself a target of getting 75% of the candidates who made the primary. That’s the number in which I felt the project becomes a relevant and comprehensive source for anyone looking for information on candidates. I ended up getting 86%. It goes without saying that I’d have loved to get 100% but it wasn’t to be. It certainly wasn’t for the lack of trying – candidates were evemailed, contacted in their Jita Park threads, grabbed on twitter and convoed in-game. The vast majority were incredibly receptive. I want to thank every single candidate who sat down to be interviewed by me. And I do mean everyone. Whether they interviewed well, badly or indifferently, each candidate who sat down with me gave the voters the ability to make decisions on who that person really is and that is a vital thing come election day. It’s here that I should give a big thanks to Mynnna for going first. As the top CFC candidate, Mynnna is all but a lock for the election itself and I’d be shocked if he didn’t finish with the most votes when they are all counted at the end. By coming on first, he gave the project a legitimacy necessary when approaching other candidates afterwards. And the point wasn’t to be exclusive. The reason I had to start the project so early was that I wanted to remove any personal politics from the equation and give every single candidate who wanted it a platform. This meant I couldn’t wait until right before the election to get started as I wouldn’t then have the time to get through everyone. Of course, this meant taking certain individuals on their word that they would actually stand. For various disappointing reasons, not everyone I interviewed made the primary but that was a price that had to be paid to allow all the candidates to have an opportunity to be interviewed. What quickly became apparent was that these interviews were going to be popular. Very popular. Way-beyond-what-Jeg-and-I-expected popular. Which is great news except for one wee problem – our old site and server infrastructure simply wasn’t capable of handling the traffic and bandwidth we were experiencing. Jeg worked his backside right off to get a new server setup and created a new site from scratch with a lot of complicated/terrible help from myself. The new site works very well and is the result of a very patient and industrious Jeg. Lots of others have offered support too and everyone who posted something in the blog comments or in a reddit post or Jita Park or anywhere, thank you. It made it all worthwhile. A couple of people even deposited me some ISK! Huge shout out to Mr Blue and Blackhuey for that. I never did this for ISK and never asked anyone for any throughout the entire process. Not going to lie though, not been able to rat much of late. If you have some spare ISK kicking around looking for a good home, Xander Phoena sure would appreciate it! I also want to thank CCP, particularly CCP Fozzie and CCP Dolan who were both a huge support throughout this. When this project was started, CCP knew nothing about it. I hadn’t approached them with the idea – this is simply something I wanted to do for the community. To hear Dolan tell me that CCP were all listening to the interviews and using my candidate list as the guide for who was standing was amazing. I hope when Dolan is working on his plan for making the CSM more visible to the player base he contacts those in the community who work so hard to bring content to voters. Both Dani and Alekseyev have done amazing work on Voices from the Void and Declarations of War respectively. Down The Pipe have also been keeping a close eye on all of the WH candidates. Finally, a massive, massive thank you to my very patient and understanding wife. I am away from home for large chunks of time with work so when I am home, I try to spend as much time with my wife and baby as I can. Given I spent roughly 4 hours a day while home working on this was a huge strain on my time with them both but she understood this was something I wanted to do and once started, I had to see it through. And she is letting me go to Fanfest too! I am very lucky. Whether I do this again or not next year, I don’t know. There’s lots to consider before we get to CSM9. 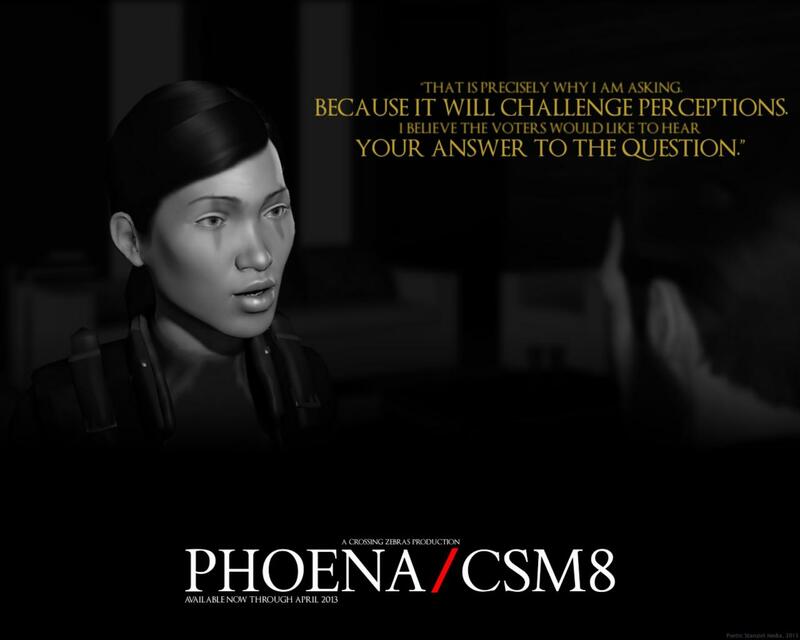 For the moment, I am just glad to have this one out of the way and hope that I have contributed in some way to the CSM8 election. And remember, the best way you can repay me for the work I’ve done here is to go and vote. Not only go and vote but tell everyone else to go vote. Corpies, friends, randoms in local, anyone and everyone – tell them all to vote to make this a CSM which truly represents and speaks for the people.